The San Bernardino couple who opened fire at a holiday party. The FBI arrested three people with connections to one of the San Bernardino shooters. They were charged with marriage fraud, lying under oath and conspiracy, the Washington Post reports. The charges are not related to the terrorist attack last year by Syed Rizwan Farook and his wife. 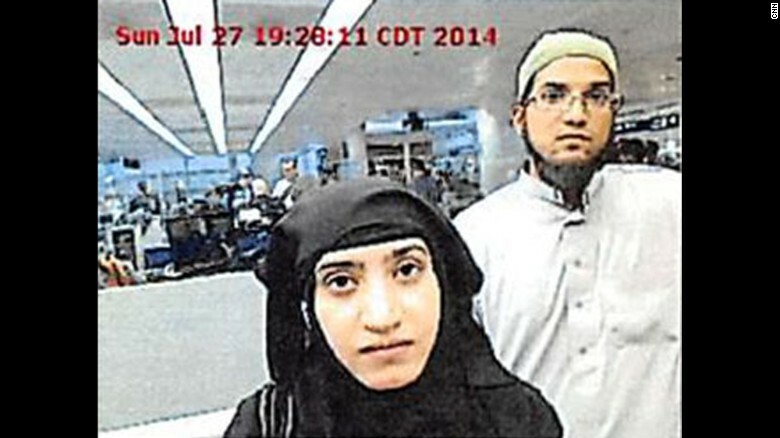 Farook’s brother, Syed Raheel Farook, was charged with marriage fraud conspiracy. Raheel’s wife, Tatiana Farook, and her sister, Mariya Chernykh, also were arrested. The trio is accused of lying under oath to help get immigration benefit for Chernykh, 26. Posted: 4/29/16 at 9:35 AM under News Story.